AcroYoga blends the mindfulness of yoga, the dynamic power of acrobatics, and the loving kindness of healing arts. These three lineages form the foundation of a practice that cultivates trust, playfulness, and community. Sure it can be challenging to fly! But when we face our fears and meet our limits, we find that others are so willing to help us out! This makes us feel safe enough to surrender, to try out new things, to play and to share. This is the heart of AcroYoga: creating a loving environment where we lift each other up, instead of put each other down. Most people who think about AcroYoga think about the partner-acrobatics, and that is certainly part of it, but AcroYoga also has a warm and therapeutic side: that of the Thai Massage and Therapeutic flight. It makes AcroYoga a very balanced practice: challenge and relaxation alternate and support each other. In the end the goal is the same: AcroYoga makes you an expert in surrender, communication and working together. Come to find your inner child, therapist and monkey, and join a movement of AcroYogis all over the world where everybody you meet becomes a potential play mate, friend and teacher. 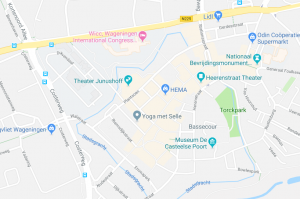 At the moment there are no AcroYoga classes at Yoga met Selle, but there are jams organised elsewhere in Wageningen. 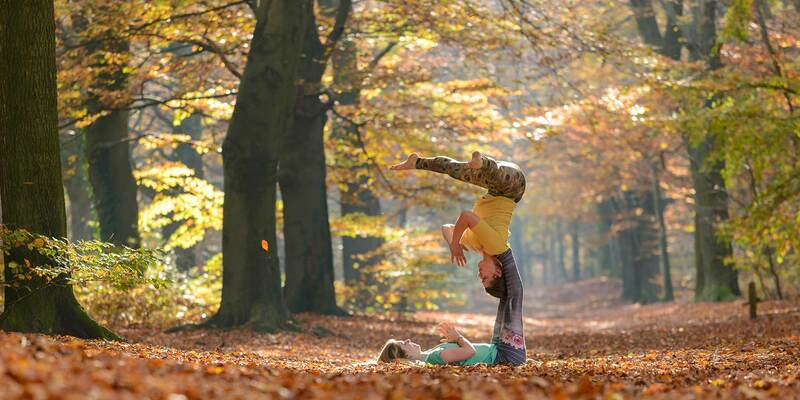 Become a member of the AcroYoga Wageningen group on Facebook to stay updated!.